Our bread and butter service so as to speak. 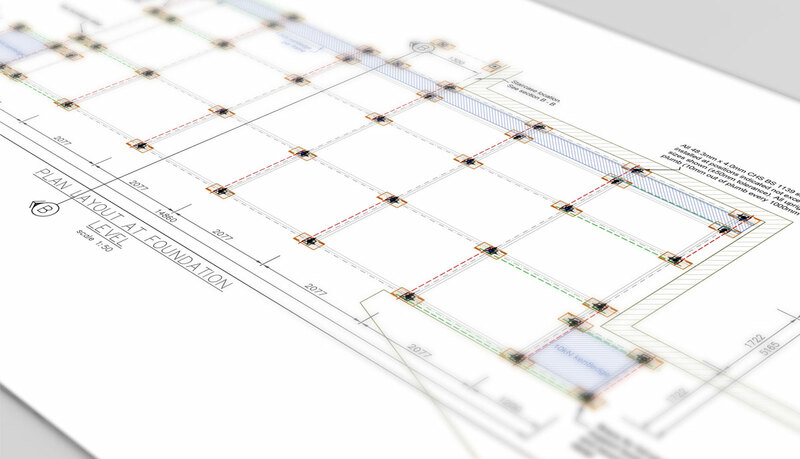 We will provide you with a fully comprehensive, full colour, detailed or feasibility design drawings to meet your bespoke specification. The designs produced conform in full to the most current Eurocodes and other relevant Standards and Regulations. 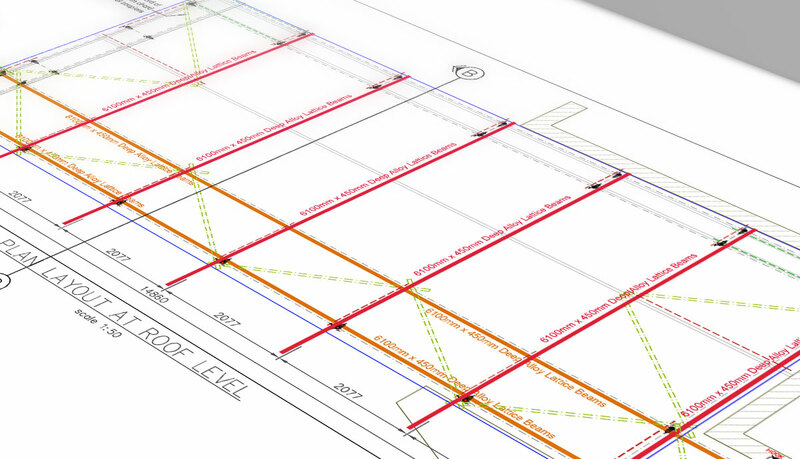 We constantly keep up to date with industry standards so that you have a design which is fully compliant in all sectors. 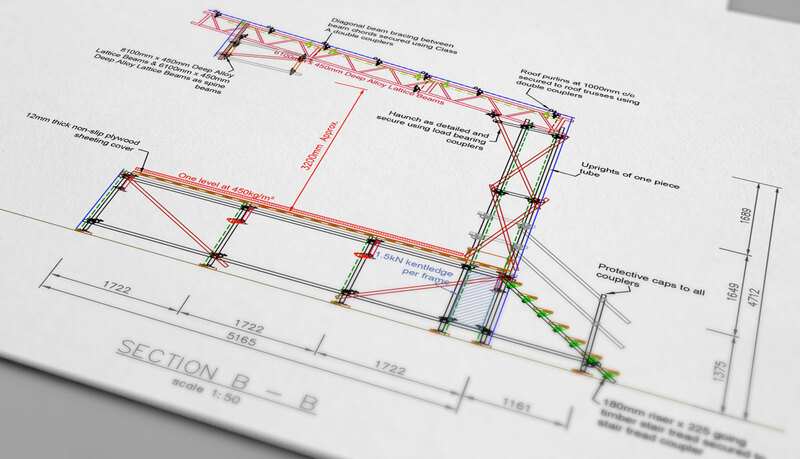 Our designs have detail unsurpassed by any other scaffold design consultancy. It is our promise that you will not have seen any designs with the precision and detail included in ours. 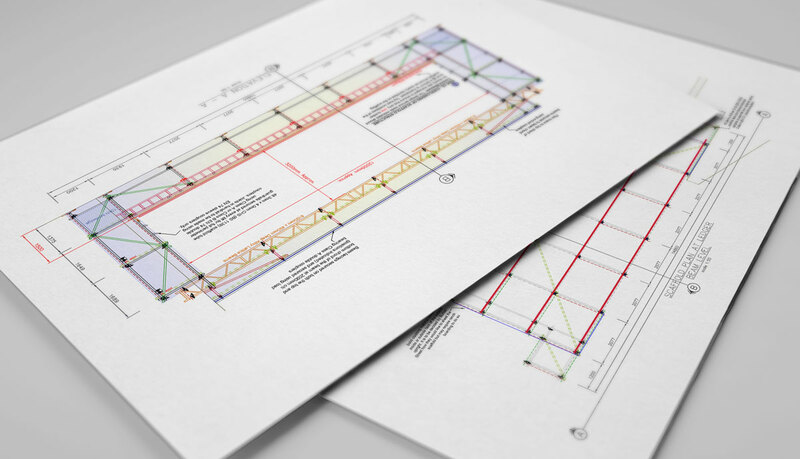 In order to ensure this quality we adopt a stringent CAD Standards document and checking process, which ensures that all of our designs are to the same minimum standard of detail and precision. An example detailed design is included below for you to view at your leisure.